I’m in the middle of the report about the visit in Japan. 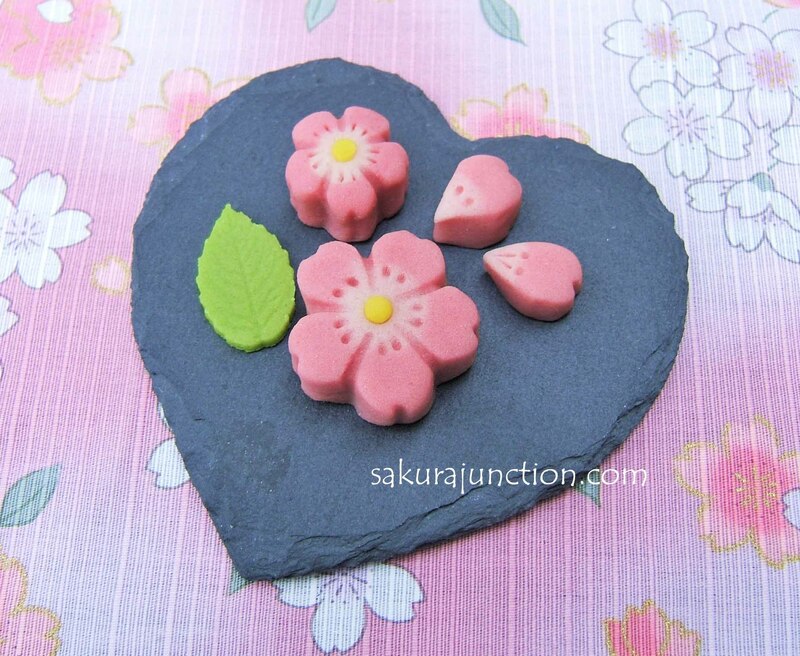 However, I created this sweet from being inspired by Sakura/Cherry blossom in Japan in Spring time and cannot resist introducing them here any longer. Yes, these are the sweets I have used for the banner of this website. It is a type of Japanese sweet called ‘Nerikiri’. Its ingredients are white bean, sugar and rice flour. That’s all! So they are free from gluten, egg, dairy and even oil/fat. 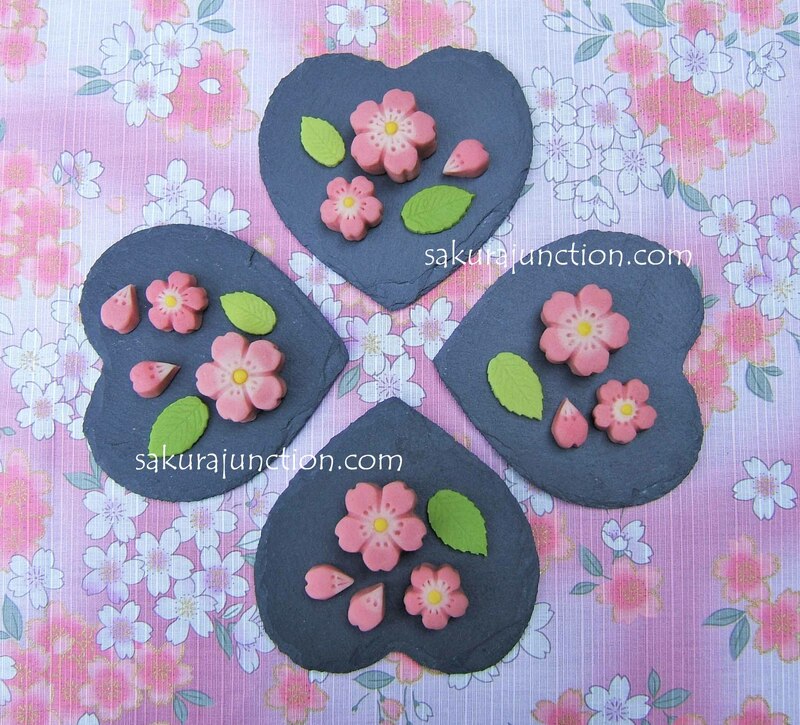 Very simple but it need a bit of practice to shape each one of them by hand into Cherry blossom or petals. The Rice Flour used for this is ‘Shiratamako’ which is made from glutinous rice ‘Mochi-Gome’. Although it is called ‘Glutinous’ this stickiness of rice is coming from the molecules of ‘Amylopectin’ and not from Gluten. The difference is that Gluten is Protein found in wheat and Amylopectin is a huge starch compound made of many sugar like molecules connected to each other so that it is Carbohydrate. They are completely different substances. By adding a small amount of sticky rice to ‘Shiro-An (White Bean paste)’ the texture becomes stretchy and bendy just like plasticine. When I add a little bit of natural food colouring it becomes more like a real cherry flower? When I have a market stall people often think these ‘Nerikiri” sweets are marzipan, but “NO” they are nothing like marzipan. 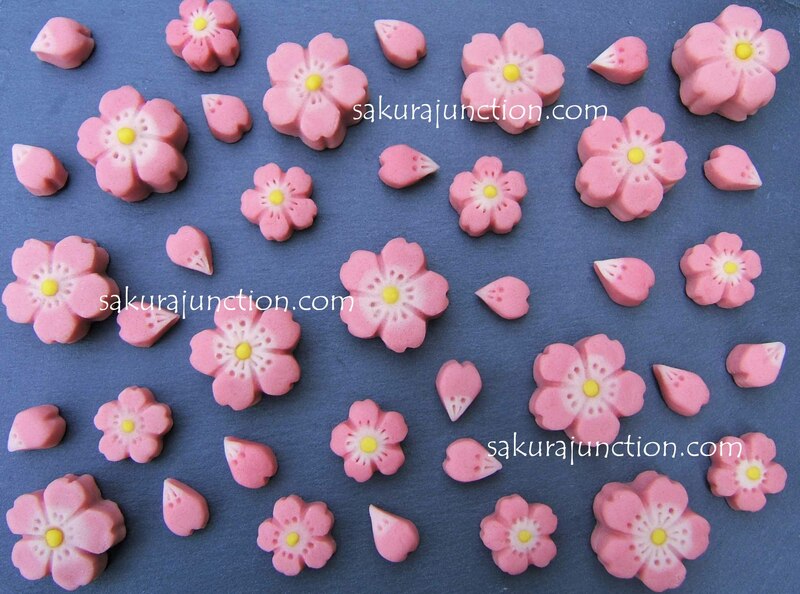 You can shape each individual sweet by hand as you like so that it has to be skillfull to make ‘Nerikiri’ and the process is very time consuming. Among all Japanese sweets they are rather posh ones, I must say. 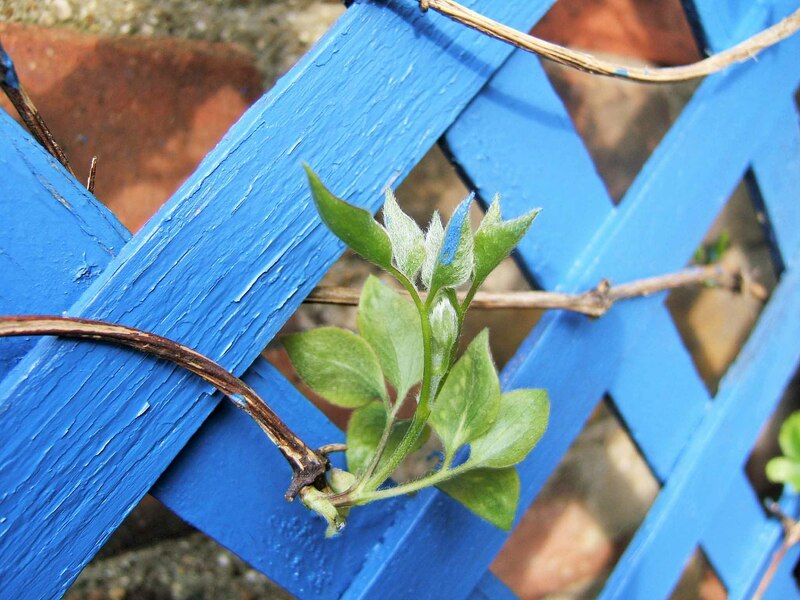 They are often used for traditional Tea Ceremony because of its sophisticated delicate finish. This became the post fact report, but I have been to Japan from the end of March and I just came back from there. So I will write about my visit in Japan in the next few posts regarding these topics. Japan has four completely different seasons and each one of them has its own good side. 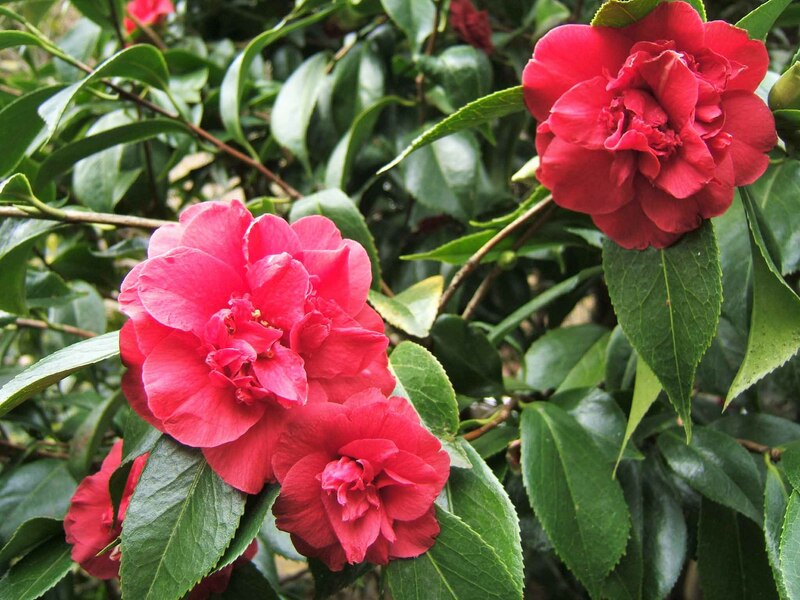 In my opinion Spring is the best season to visit Japan. 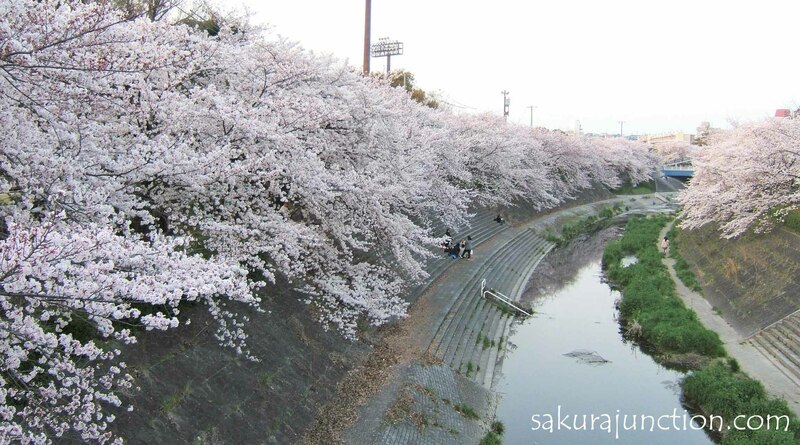 One of the reasons for this is of course the famous Sakura/Cherry blossom. 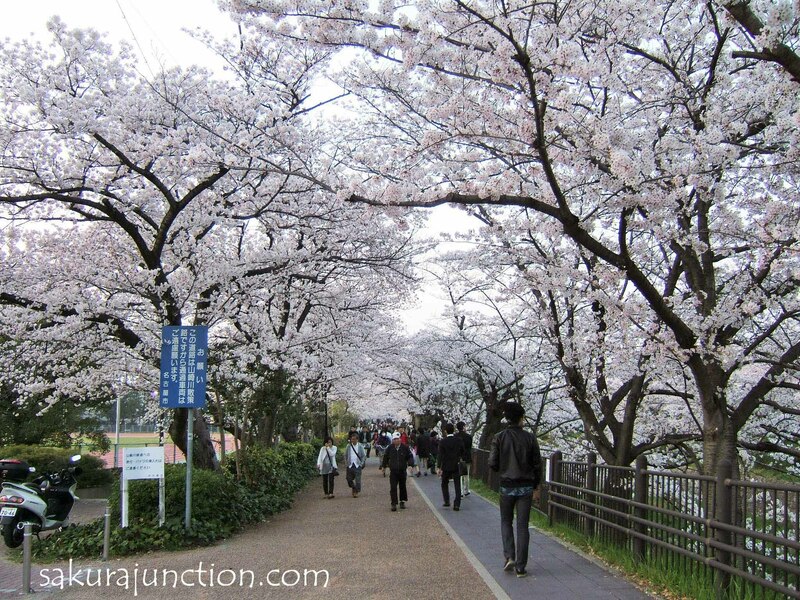 You get surrounded by Sakura/Cherry Blossom scenery anywhere you go. When you see the dense but fluffy pink clusters you cannot stop feeling very celebratory and having a supreme moment of bliss. The winter in 2014-15 was actually quite severe in Japan which brought lots of snow in many places especially in the north. 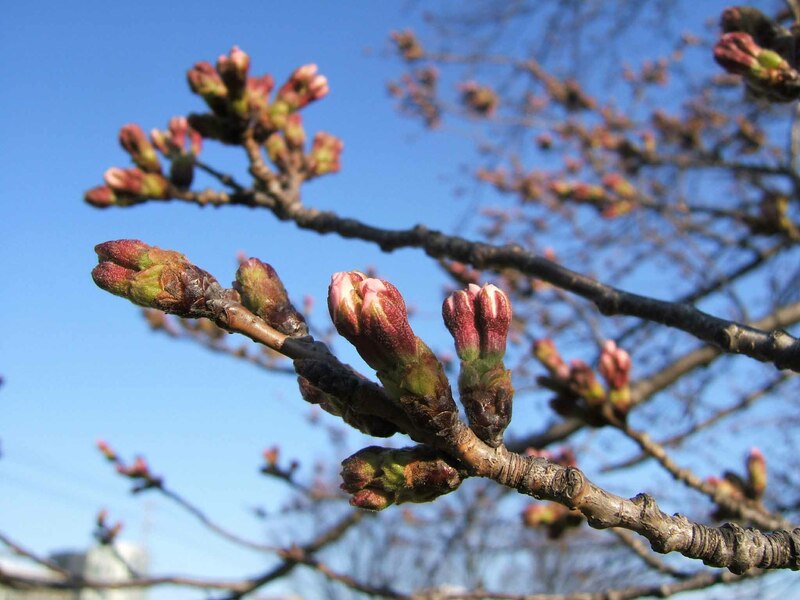 When I arrived to the country, the weather seemed finally becoming milder and the cherry tree’s flower buds were just about to open … and then the cold air came down again and it became like winter suddenly. There was even blizzard in the northern part. 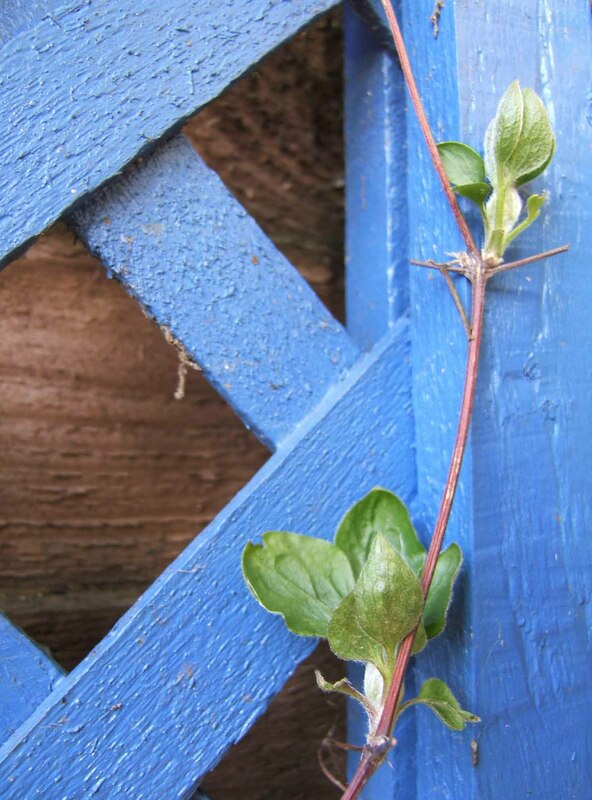 I was glad I took my thick jacket with me as well as two lighter ones in my suitcase, however, I had to wait a little bit longer to see the buds open. 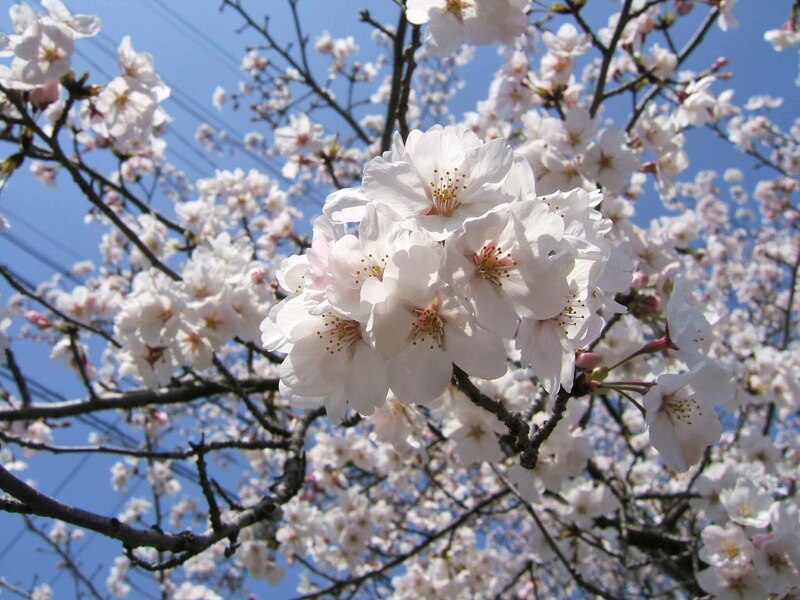 Actually the opening of Cherry Blossom is a big deal in Japan. 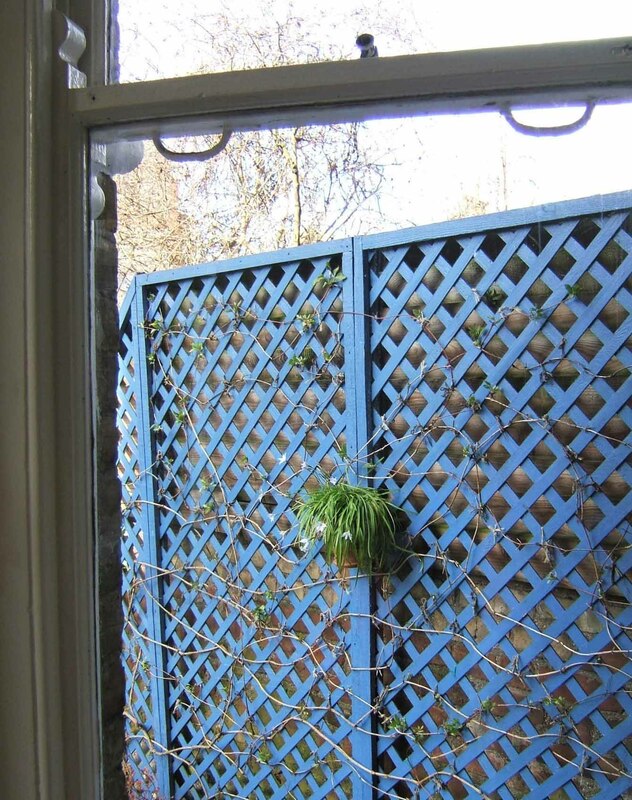 People are looking forward to seeing the great scenery. 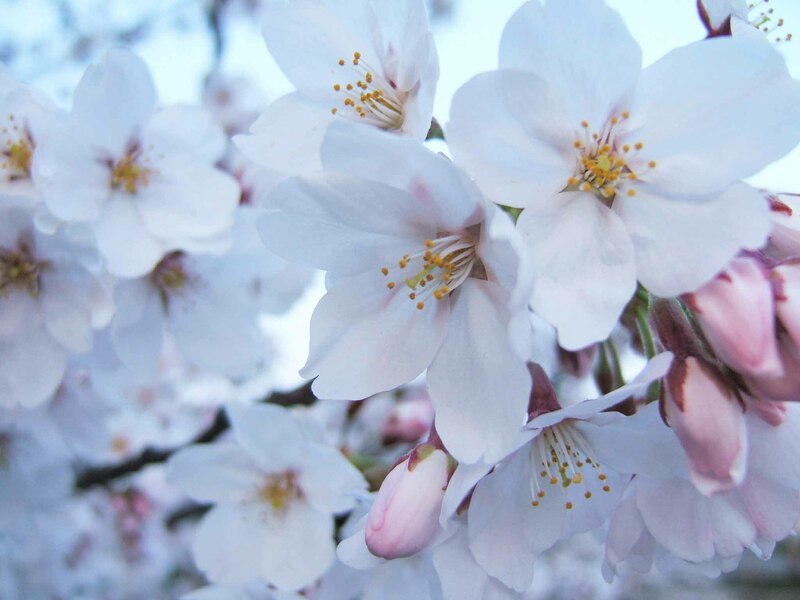 We have a ‘Sakura Forecast’ on TV news every day in spring that shows the ‘Cherry Blossom Front’ telling people in which part of the country & when we can see the blossom. 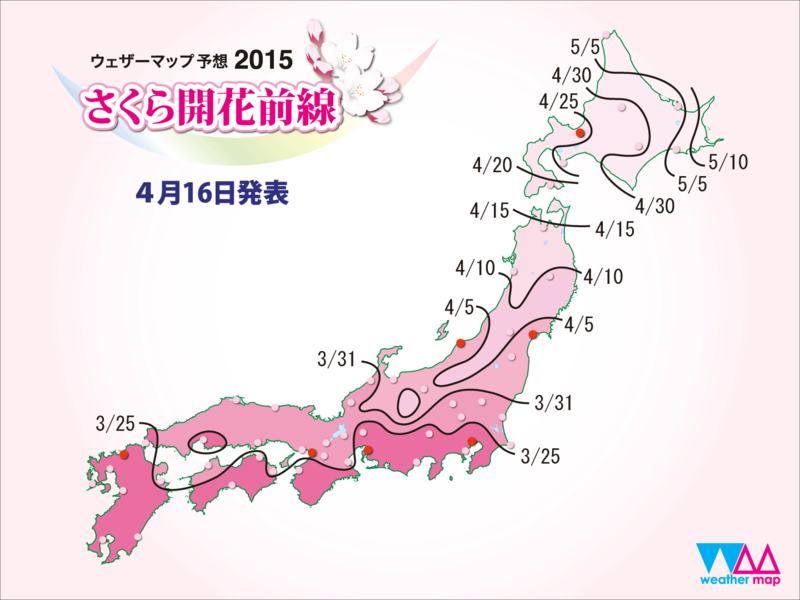 When finally the flower buds start opening, the Sakura Forecast tells which part of Japan you can see the blossom. Surprisingly Nagoya, the city where I stayed, was the second earliest place declared that Cherry blossom’s opened this year. That is unusually early for the city and very rare. So we did have the Sakura Blossom at last after waiting for a while. 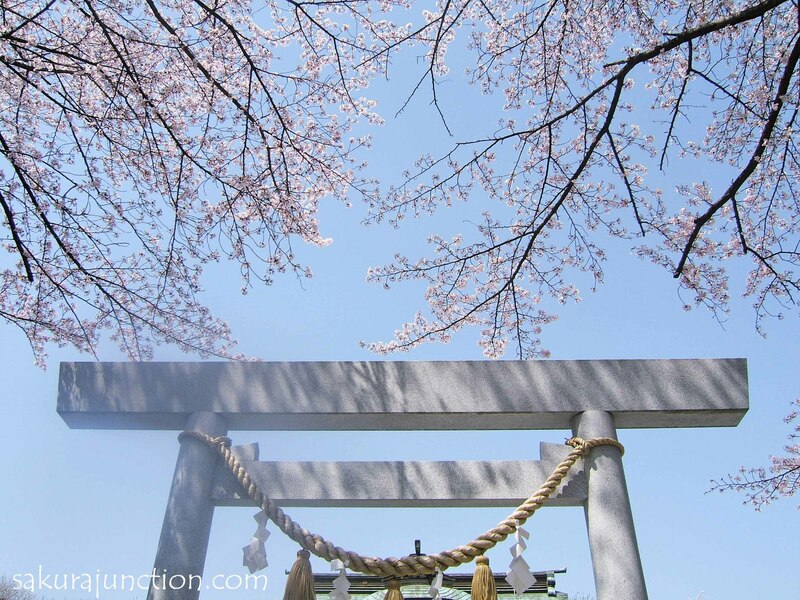 Once Sakura trees became nearly in full bloom I visited several famous spots in the area to view the scenery. 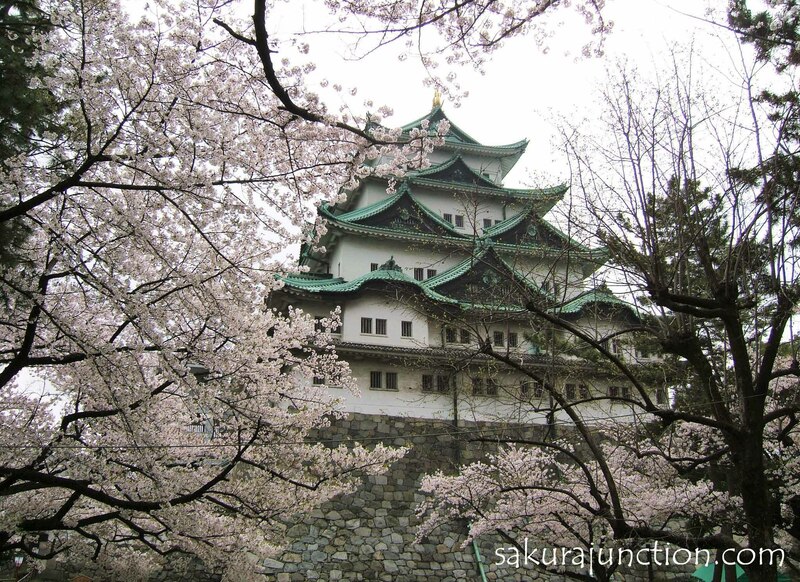 They were Nagoya Castle, Tsurumai Park and Yamazaki River bank. I have been to the first two of these places to view blossom in the past, however, it was Yamazaki River that really amazed me with the scale and the beauty! 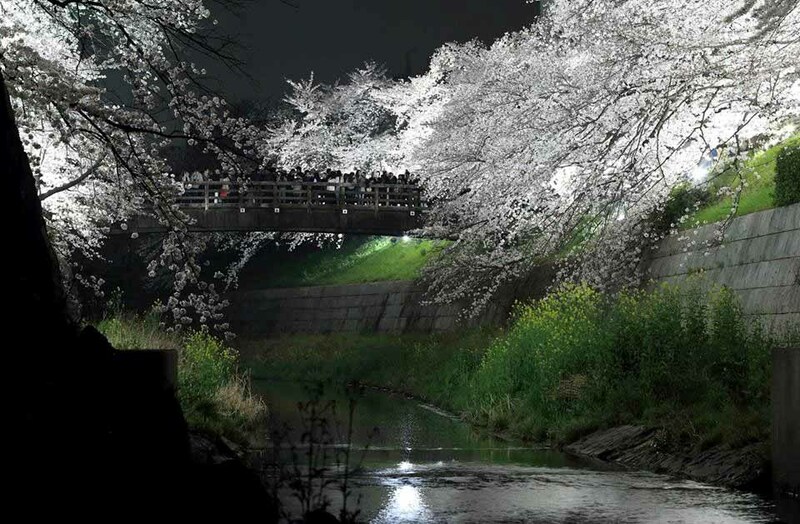 Comparing to other places where people sit down feasting underneath the light pink canopy until the late night, along the Yamazaki River people were just admiring the beautiful scenery. Some area was lit up to show the different look during the evening which created another great atmosphere. Many bats flying around over the river showed that balance of nature is well protected in this area too. So, what was my thought? Excellent! Even just for seeing this view it is worth visiting Japan. It was very nice to see the city covered in pink fluff and everybody appreciating the scenery. Lots of people, including many foreign tourists, visit the spots for walking, taking photos, having picnic or just quietly viewing. I thought we are very privileged living in this fortunate part of the world without worrying about starvation, sheltering from bombing or escaping from massacre. We also should not forget that so many people who lost family members in the 2011 earthquake/tsunami disaster were viewing the same sight under the same sky. 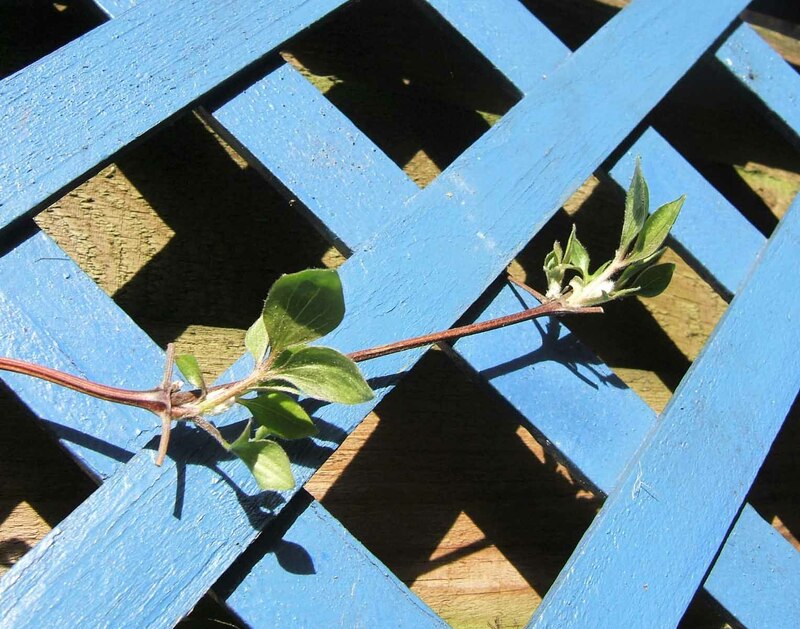 It is important to appreciate whatever you have at any time.